The government of Punjab, Pakistan, has decided to withdraw the additional 19.5% tax that was earlier imposed on all kind of internet usage. The withdrawal was announced by a provincial finance minister earlier today during a budget speech in Lahore. 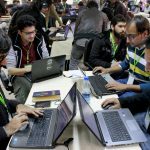 The announcement came right after a week-long cyber campaign was observed by thousands of Pakistani bloggers, freelancers, entrepreneurs, students and cyber citizens. According to ProPakistani, leading websites including UrduPoint.com, Ilmkidunya.com, Siasat.pk, HamariWeb.com, Comics by Arsalan, The News Tribe, Pak Hungama, NetMag and dozens of other websites and celebrities participated in the cyber campaign by setting their home screens to a black banner. The cyber protest turned out to be successful as the internet taxes have now been withdrawn. The decision to impose 19.5% tax on internet usage with subject to a lot of criticism from industry professionals as well as the general public. “This is a very positive gesture shown by the Government of Punjab which clearly understood gravity of the situation. Revoking the 19.5 percent tax on internet not only shows the seriousness but also depicts that government gives due respect to the digital community and telecom sector while at the same time it also affirms that our digital community has reached a maturity level where they can firmly and decently raise voice against any injustice”. Pakistan has currently 13 million 3G/4G users while overall 30 million are using the internet. This is about 10% of the entire population of the country. Given the tax was imposed, the now on-boom IT industry in Pakistan would have been threatened in many ways. The tax was supposed to be imposed on all kind of internet usages including landline broadband connection, 3G, 4G and LTE etc. There is no word from other provinces about revoking the decision of additional tax.